Technology salaries in New Zealand are increasing at a steady rate across the country, with heightened demand for coding skills driving up the dollar value of contracts. The national median IT base salary now stands at $90,000 across New Zealand, up 10 per cent from previous levels of $82,000 six months ago. According to Absolute IT findings, such a spike is being driven predominantly by an increased need to source coding capabilities, spanning developers across software, front-end, back-end and full stack positions. Specifically, developers across the country are now commanding salaries as high as $100,000 on average, topped up with a 19 per cent bonus, with database expertise carrying another $10,000 in wages. Such demand aligns with EDGE Research - commissioned by Reseller News - which reports that coding is the new oil for partners in New Zealand. “We are seeing a rise in low code, no code solutions in the market driven by increasing containerisation and micro-services,” Tech Research Asia executive consultant Mark Iles explained at the time. 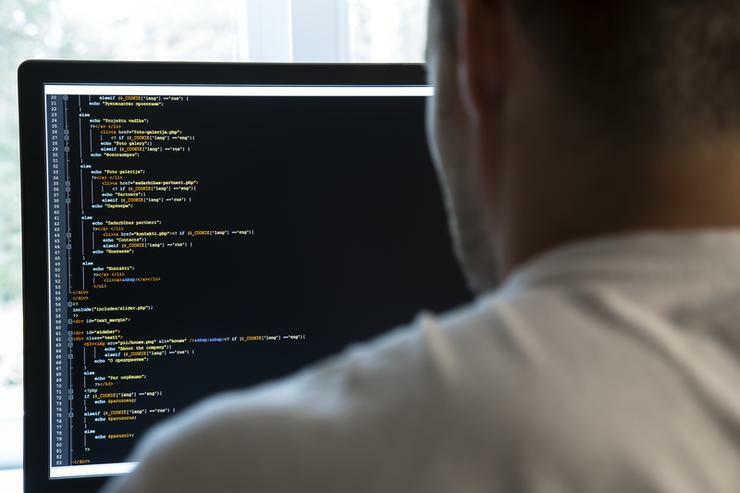 Backed up by EDGE Research, 41 per cent of partners are already cutting code in New Zealand, with 17 per cent expecting to join the party within the next 12 months. Alongside development capabilities, software architects, consultants and network engineers are also receiving higher compensation packages, topping out at an average of $137,000, $126,000 and $100,000 respectively. Furthermore, the market is also experiencing a rise in contracting rates with the national median contracting rate at $95/hour, up five per cent from the $90/hour recorded in June 2017. From a regional perspective, Auckland experienced the biggest jump in median salary rates, up 14 per cent from the previous $82,000 to $93,500, with contracting rates rising by six per cent to reach $95/hour. Wellington is still the region that offers IT professionals the highest remuneration levels however, with the city’s median base salary rate rising by 12 per cent to reach $97,000. According to findings, the median contracting rate in Wellington jumped five per cent and is now $100/hour, the highest in New Zealand. Spanning the Hamilton and Bay of Plenty regions, the median base salary is up 11 per cent to $83,500, representing the only region that had no change in its contracting rate, still at $85/hour. Meanwhile in Christchurch, the median base salary increased by eight per cent to $78,500 with the contracting rate up seven per cent to $95/hour, on par with the contracting rate in Auckland. Specific to bonuses, Wellington leads the country as the region with the highest rate of $7,000. Following on, Auckland and Hamilton/Bay of Plenty both offer a median bonus rate of $5,500, while Christchurch averages at $3,750. “One of the biggest demands from IT jobseekers is the need for work/life balance,” the report stated. “It comes as no surprise that flexible working hours is still the number one benefit in New Zealand offered to IT professionals. At 22 per cent women are still under-represented in the IT industry with a median base salary standing at 4.5 per cent less than men overall. In 2015 the pay gap was 7.2 per cent. Wellington has the highest number of women working in IT at 21 per cent, and also offers women the highest median base salary of $93,000, still five per cent less than the median base salary of $98,000 recorded for men in this region however. In Auckland, the difference is 5.5 per cent between the genders, with men earning $95,000 and women $90,000 median base salaries. Hamilton/Bay of Plenty has an eight per cent difference in reported median base salaries, with men earning $85,000 and women $78,000. In addition, it is also the region that has the lowest number of women working in IT, 16 per cent. Christchurch has the biggest gender pay gap with women earning 11 per cent less than men - the median base salary for women is $72,000 while it stands at $80,000 for men. Absolute IT updates it Tech Remuneration Report every six months, analysing over 4,500 salaries across New Zealand.